With its glimpse into an America where women have been legally designated as the property and chattel of the men around them, Hulu’s upcoming Margaret Atwood adaptation The Handmaid’s Tale is set to be one of the most unpleasantly relevant TV shows of 2017. 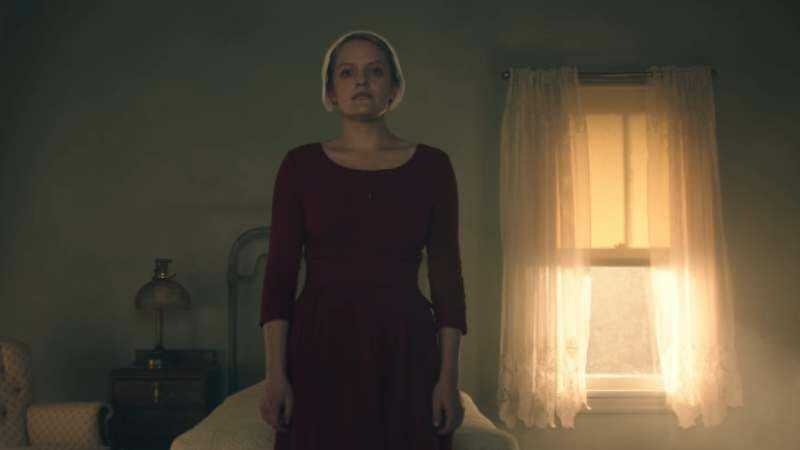 The series—created by The 100 and ER producer Bruce Miller—made a silent splash at today’s SXSW, with Adweek reporting that Hulu has hired a bunch of unspeaking, red-clad Handmaids to walk together through the festival. Per Atwood’s book, the Handmaids are apparently sticking together in pairs, the better to police each other’s behavior and reporting deviations. The show’s official Twitter account suggests that something might happen if people ask the performers “Should we walk by the river?”; meanwhile, most of the people at SXSW just seem freaked out to see Atwood’s tale of institutional misogyny bleeding out into the real world.